The verdict–My kids really liked the Farmer’s Tomato Pie, declaring it “kind of like a bruschetta” (yes, we have sophisticated eaters around here.) They claimed that it couldn’t be a pizza without the cheese, but they did enjoy it as an afternoon snack. One pie was a perfect snack for two hungry children to share. The Twisted 6 Cheese looks a little bit different in my pictures because I added on some sauteed mixed mushrooms that I had in the fridge. My sauce hating daughter really liked this one, though she did admit that the mushrooms were her favorite part. The Sliced Tomato and 5 Cheese pie was the greatest success, once my kids removed the sliced tomatoes. All in all, the crusts were pleasantly crisp and the cheese was not too oily. If you’re going to buy frozen pizza, these are certainly a really good choice. This appealed to everyone in my family much more, because we got to build our own pizza. I was already fascinated by the claims on the packaged that this no-preservative crust could be shelf-stable until well into the summer. Is there magic in their packaging? 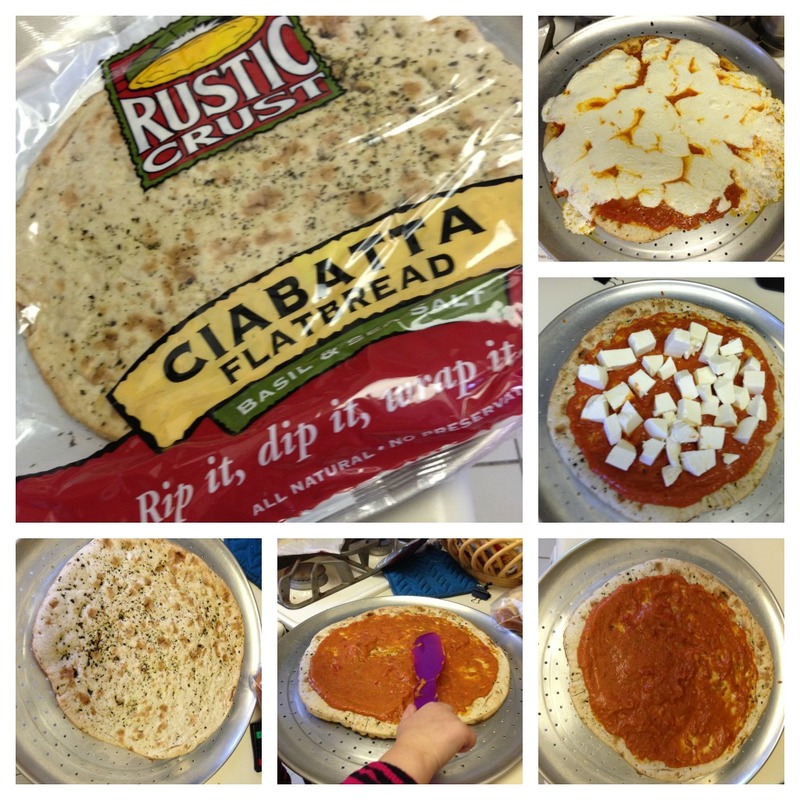 My kids had a great time spreading on sauce and fresh mozzarella and definitely enjoyed eating this one. The crust was denser and more chewy than homemade, but it too 15 minutes from opening the package until my kids were already sitting down and eating dinner. Though I prefer to make my own from scratch, there are days when speed is definitely the name of the game. This crust made a really nice pinch-hitter. 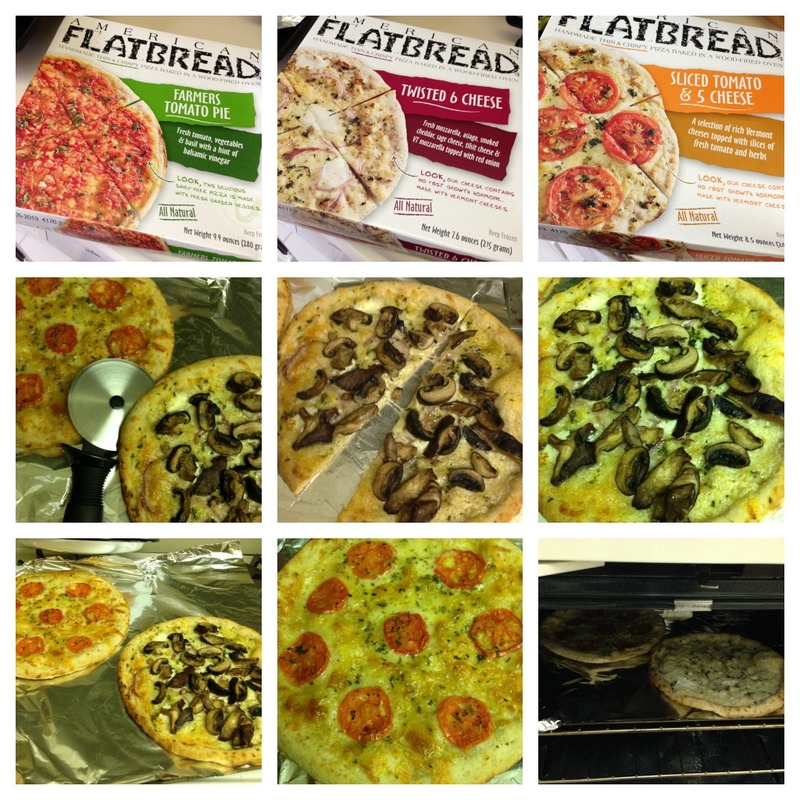 This entry was posted in A Peek Into My Kitchen, Food and Drink, Products and tagged american flatbread, rustic crust pizza by jessica. Bookmark the permalink.